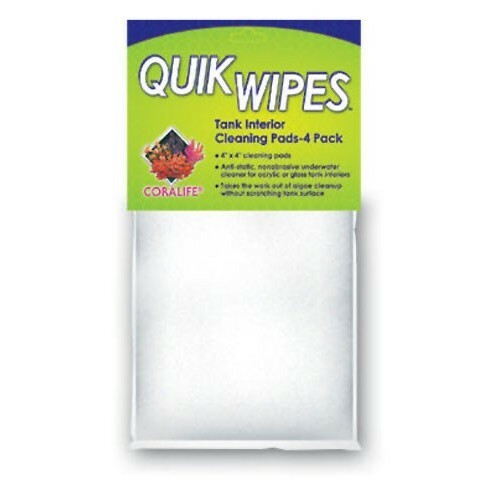 Coralife Quick Wipes are reusable, anti-static, non-abrasive 4" x 4" underwater cleaning. Pads for acrylic or glass tank interiors. Takes the work out of algae cleanup without scratching tank surfaces.